It may not sound like it, but I usually don't want to hype products too much because I know how it is when you have super high expectations. Hardly ever a product really meets them. Well today is not going to be that kind of a review. 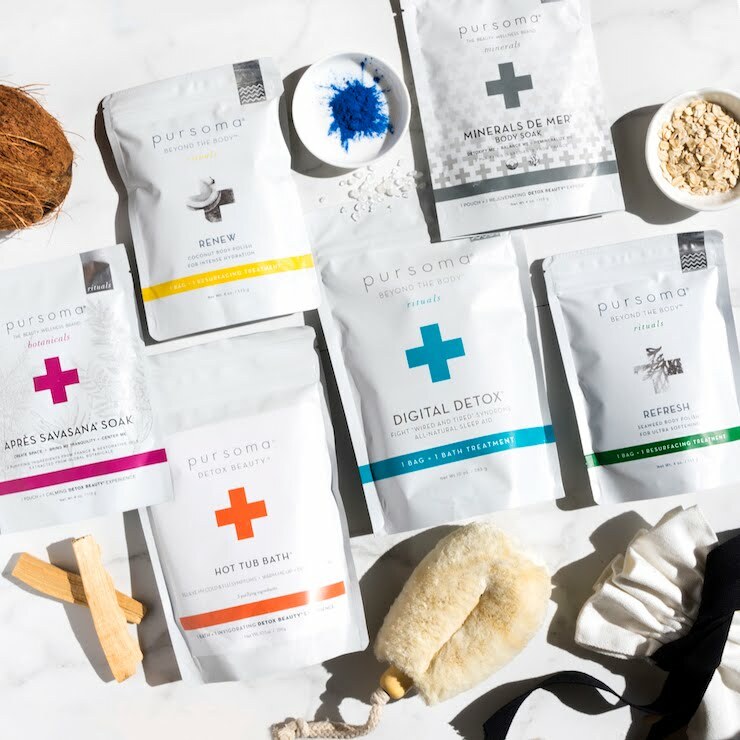 I'm going to hype the s*it out of the new April Art of Organics Clean Beauty Box* and you are going to like it! Hopefully haha. 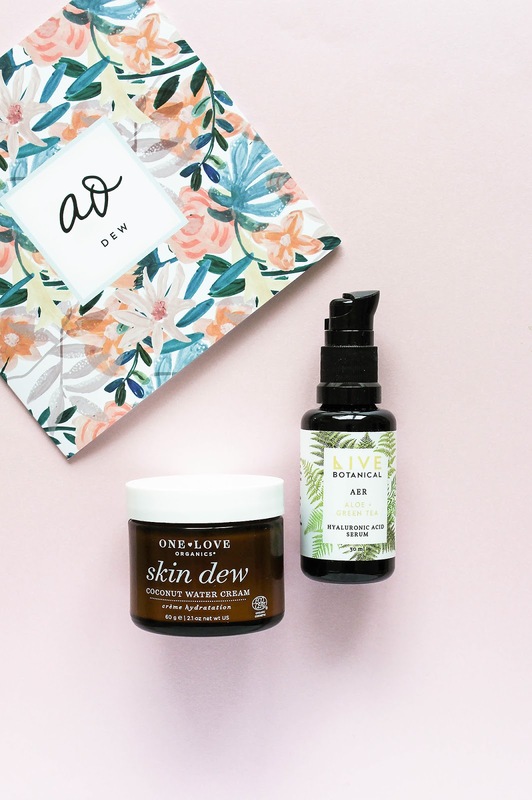 DEW box features two products from two stunning brands: One Love Organics and Live Botanical, and this box is one of my favourite AO box I've ever tried! It is just so good! 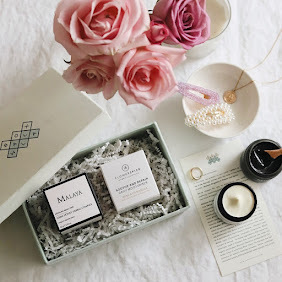 I can't decide if it's better than the September box featuring Laurel Whole Plant Organics (my review here) or not. If I would have to choose I would say that these two are my absolute fave! 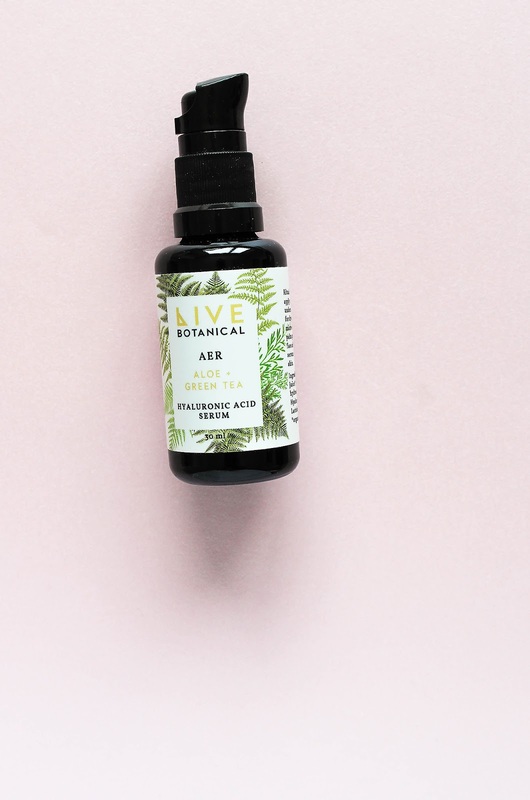 Live Botanical AER Aloe + Green Tea Hyaluronic Acid Serum is as beautiful as is the packaging. I ADORE ferns. Not only because of their looks but also because I once believed that they are magical. When I was a child my mama told me this story that if a fern's seed would fall into my shoe on this particular evening/night I would be able to understand animals. And I was all about that! I remember walking through ferns (no matter the time of day!) and just wishing & hoping that a seed would find a way into my shoe and that I would understand what animals are saying. I would actually dreamt about it at night. I think it's safe to say I was obsessed haha. But this story has nothing to do with skincare oops. I clearly like the design and the whole packaging of AER and the brand in general. Just look at them here! Aren't they so gorgeous? 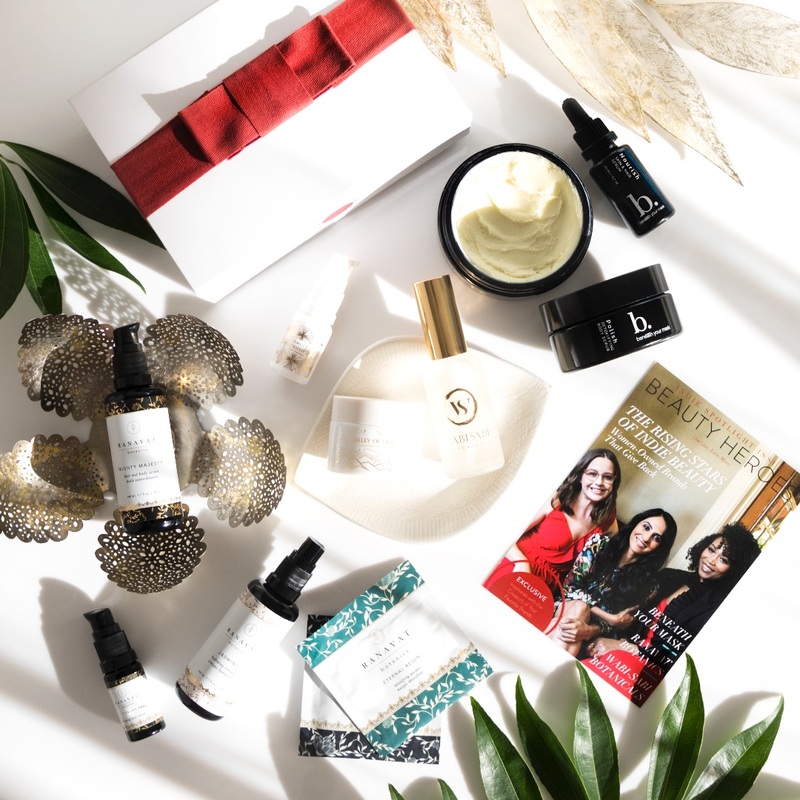 Live Botanical is a brand that was on my (skincare) radar and I was thrilled to see it in this box. At the heart of Live Botanical is the intense desire to connect with Mother Nature. The founder and formulator, Carolyn McRory, believes the path to a more sustainable society is to encourage ideas of conservation through compassion. The full name of AER says it all - in the serum are 4 ingredients, 3 of them are Aloe Vera Juice, Green Tea Hydrosol and Sodium Hyaluronate. The fourth ingredient is Lactobacillus Ferment. 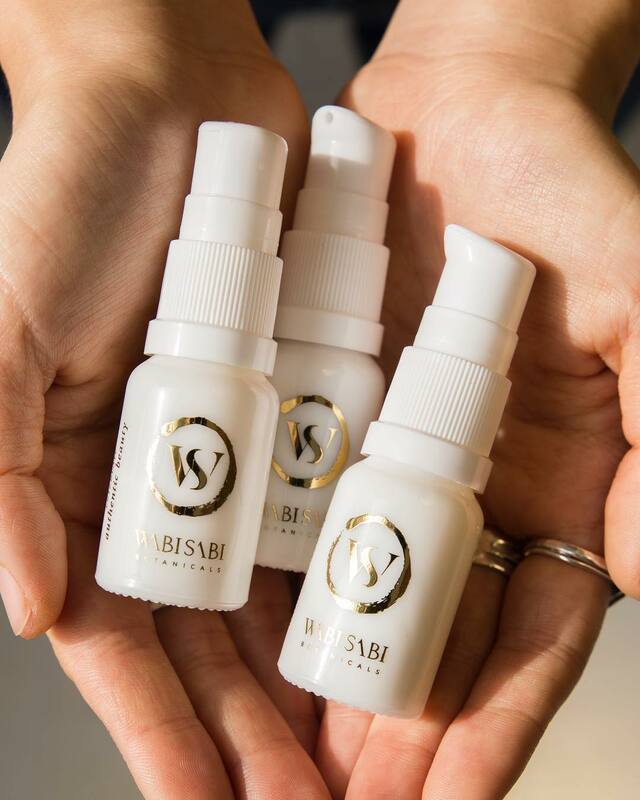 The idea behind this serum was to create an effective and versatile method to hydrate, tone and calm the most sensitive skin types. One of my Insta friends has extremely sensitive skin and she is allergic to more ingredients that I can remember from the top of my head and she loves this product! AER is soothing and very hydrating. It makes my skin smooth and soft. It has a very lightweight consistency (almost like water) but it feels nothing like water. Well I'm exaggerating a bit but water isn't hydrating when applied on the skin and this serum definitely is. I love the almost non-existing scent - another thumbs up for sensitive skin types and for those of us who prefer more subtle scents. I use it two times a day, as a two-in-one product: a toner and a serum, and that works great on my skin. I want to try more Live Botanical products. Love. You can check out AER here. 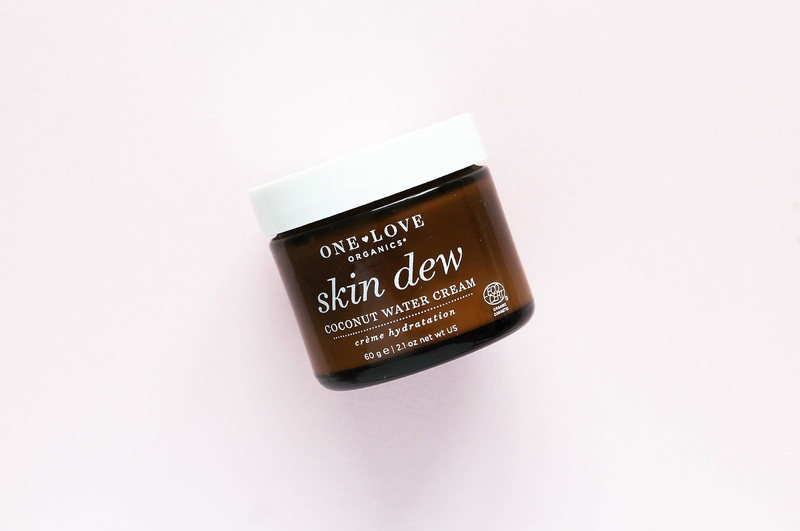 One Love Organics Skin Dew Coconut Water Cream. Oh my what a beaut this cream is! 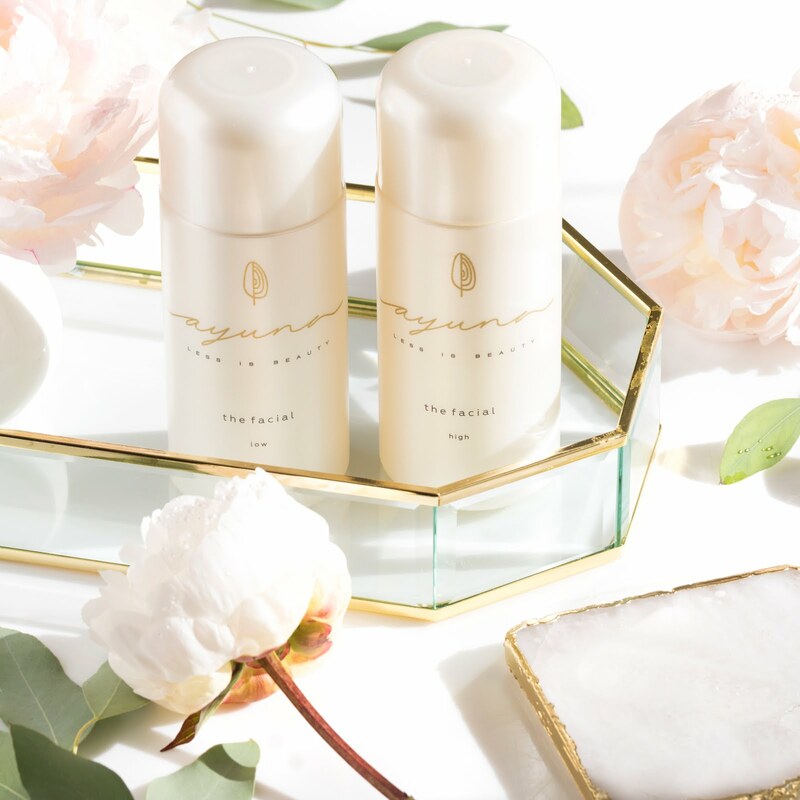 "Lovely" is the perfect word to describe this amazing moisturizer. LOVE. 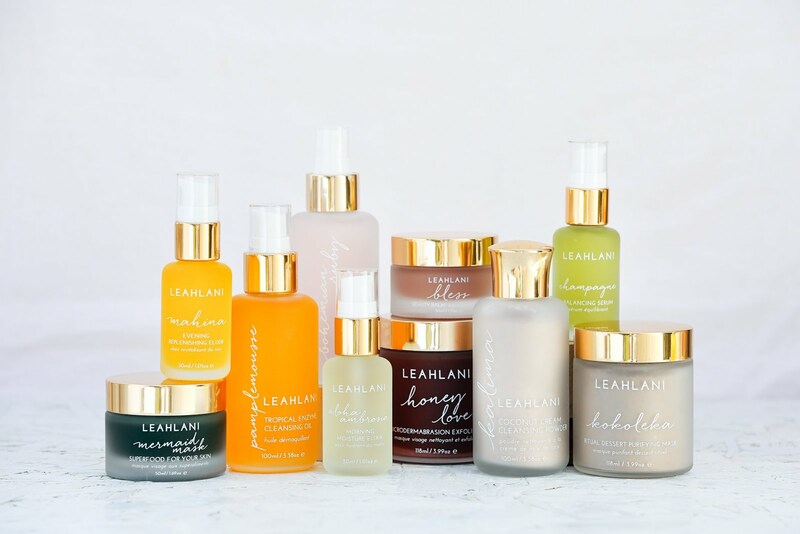 One Love Organics was founded by Suzanne LeRoux, a believer in alternative healing - so much that she decided to formally study aromatherapy, integrative herbology, holistic nutrition and cosmetic chemistry while practicing law full time. Talk about dedication and commitment! 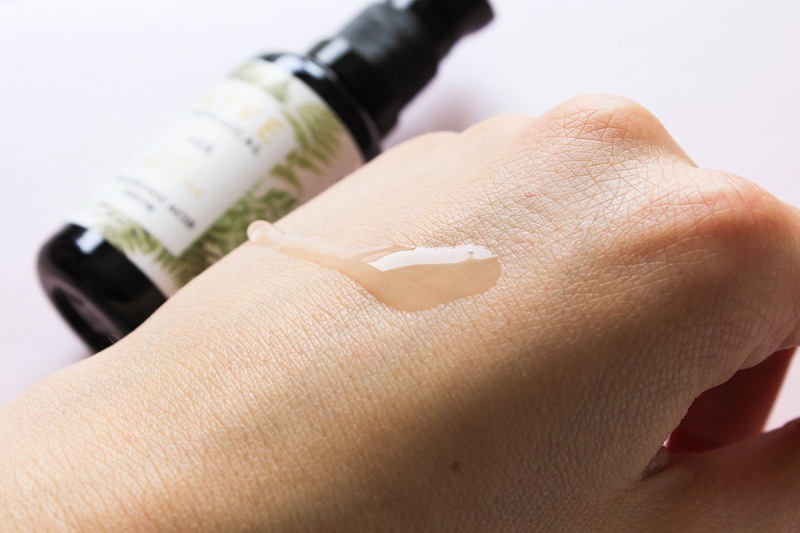 I have tried one OLO product before, it was an oil and even though I liked it very much, I didn't fell in love with it that quickly and as deeply as I did with Skin Dew. 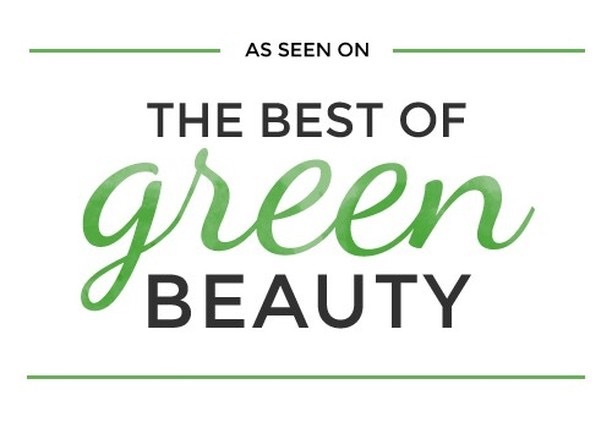 This multi-award winning cream helps to combat dehydration and promote balanced, moisture-rich, healthy-looking skin. 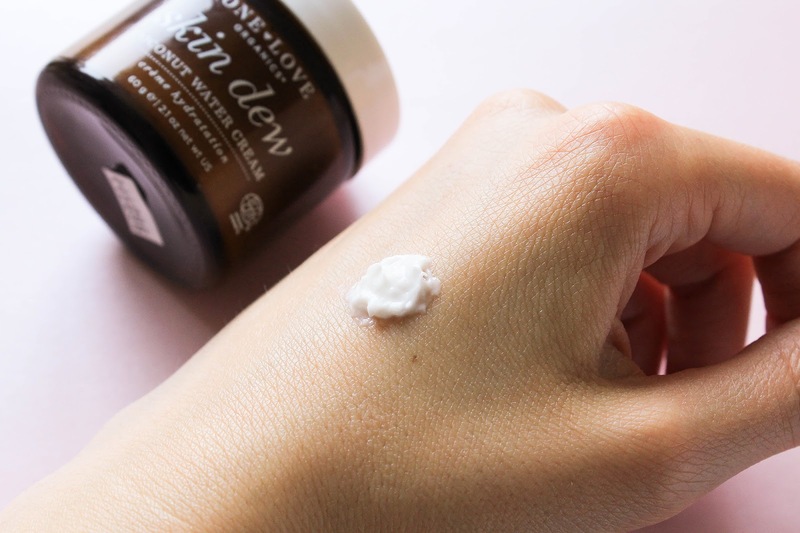 Crafted with over 50% of pure, mineral rich Coconut Water, Cupuacu Butter, a complex of Acacia, Jojoba and Sunflower oil that form a protective, breathable film to help lock-in hydration and defend skin against environmental aggressors, Skin Dew is both lightweight and hydrating. I don't understand how it can be so lightweight and airy and then also so hydrating and balancing! So grateful that Suzanne quit law! Those of you thinking "oh no it contains coconut and that clogs my pores" shouldn't be worried about it because I don't think it would create problems. I assume but I think I'm right that chemical compositions of coconut water and coconut oil are different so there's no need to worry. 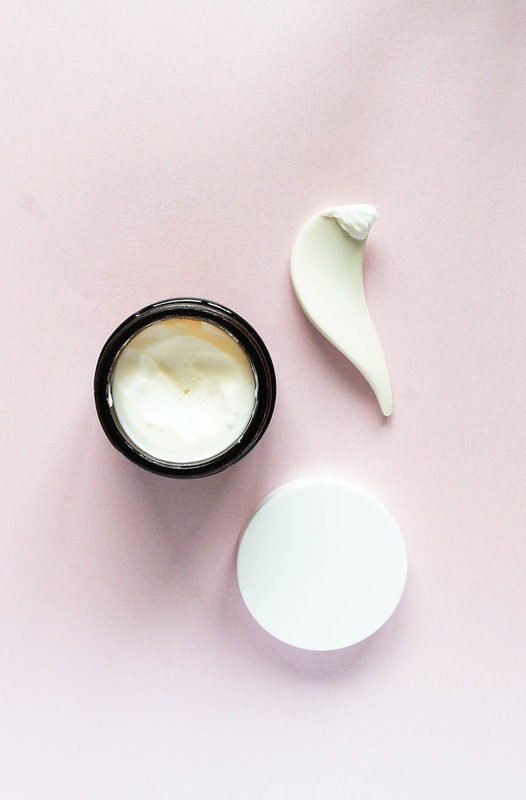 You should really give this cream a chance, no matter your skin type (it is beneficial to all skin types). What I love about this cream? I mean is there anything I don't like?! 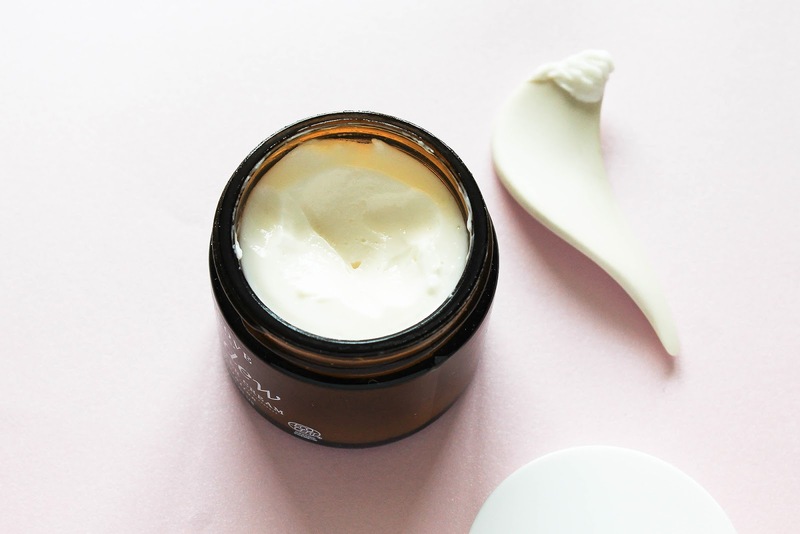 It's lightweight, airy, it absorbs quickly, it has a subtle scent of coconut water, it feels lovely on the skin, it's very hydrating and keeps my skin moisturized all day (and night) AND it's in a glass jar. You can check out Skin Dew here. You guys, do yourself a favour and order this box asap! Art of Organics boxes have a tendency to sell out quickly, just so you know. Hydration is crucial for healthy and happy skin and the boost of hydration these two products give has been so wonderful for my skin. It's almost like I drank liters upon liters of water but in reality I just applied these two. Look, my skin is not perfect and definitely doesn't look like Karamo's but maybe regular use of AER & Skin Dew could bring me closer to it? Fingers crossed! Both products work amazingly well together and I love that they layer nicely with other products. 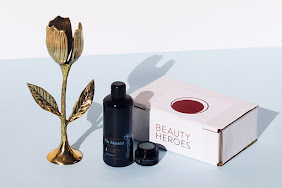 They actually pair beautifully with the Hero product from the April's Beauty Heroes box, de Mamiel Intense Nurture Antioxidant Elixir* (review here). 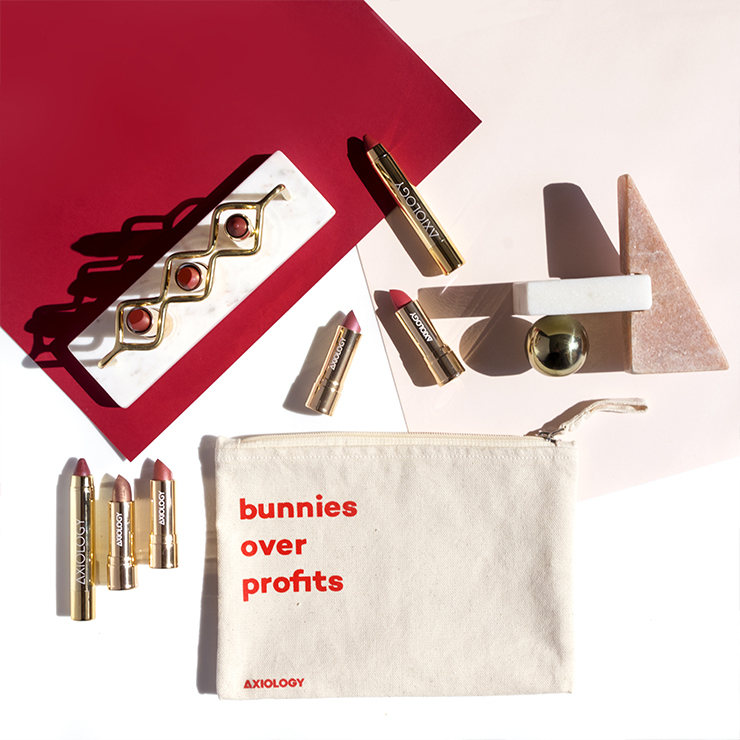 Sadly the April BH box is already sold out. They are making my skin visibly healthier, there is less redness and less tiny bumps in my skin. DEW box, I love you! The value of this box is $88 but it's worth so much more. You can get it for $39, by subscribing to at least two AO boxes at a time (see their options here). Sign up for the April Art of Organics box here. Art of Organics members also have 15% off in their store. 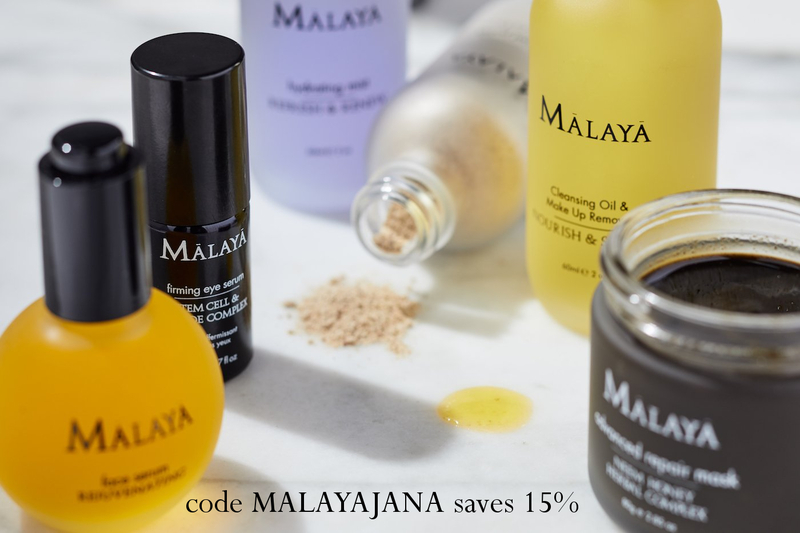 Hope you also fall head over heels with these products! Floral print was created by @chloehallillustration.